This event is only open to people with a previous volunteering experience with Serve the City. 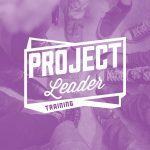 We would love to invite you to the next Serve the City Brussels Project Leader Training! The training is divided into two parts: Orientation and Experience. In Part 1- Orientation, you will learn the nuts and bolts of leading a practical, social or street project, and how our Serve the City values apply in a concrete way to project leading. Part 1 takes place in our STC office on 24 April, from 6:30pm-9:00pm in a seminar-style setting (sandwiches and snacks will be offered). In Part 2- Experience, you will put knowledge into practice as you will have the opportunity to co-lead a project at the one of our upcoming Big Volunteer Days on 27th April or 25th May.